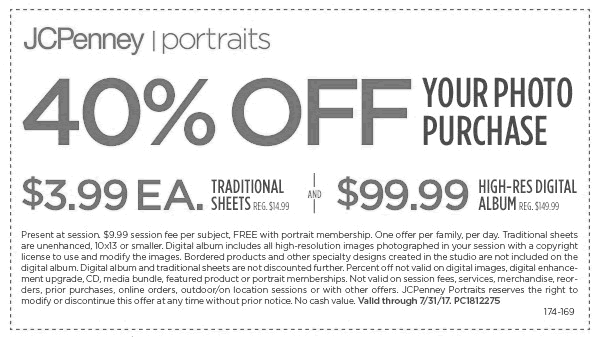 JC Penny is offering a coupon that gives the user 40% off a JC Penny Portraits photo purchase. With this coupon, “Traditional Sheets”, which are normally $14.99, are now $3.99. Additionally, a “High-Res Digital Album” is now $99.99 as opposed to the regular price of $149.99. It shaves a good amount of money off of expensive portraits. You must have the coupon in person when buying the sheets in order to use it. 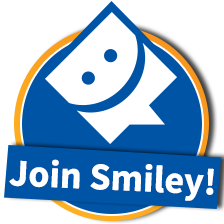 Also, the coupon states that a family can use only one of these offers per day. “Digital images and enhancements” are not valid for use with this coupon as well, the coupon states. If you want your discount, you had better act quick. This deal is good until July 31, 2017.